Whew- we made it through Monday y’all! Coming off a holiday weekend into a full work week is not for the faint of heart! ha. Well on to happier things, like this festive look that’s perfect for casual holiday gatherings (of which I have a TON coming!) I’m going to make a pretty bold statement… this might be one of my all-time favorite looks I’ve shared here on the blog! 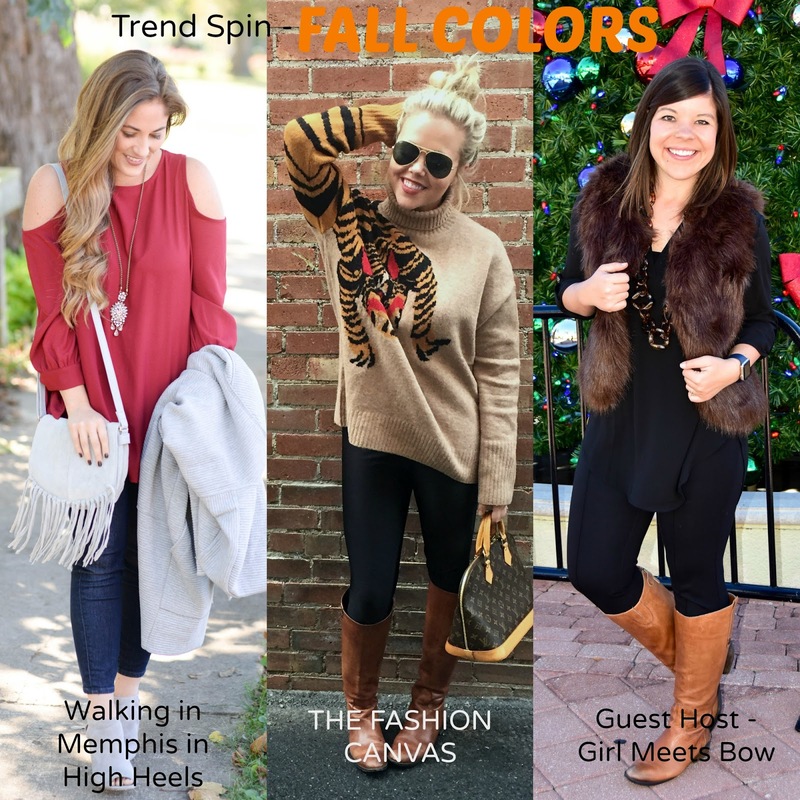 It might have something to do with the fact that when I put it on my aunt/photog said, “You look rich in that!” (insert crying/laughing emoji)- but seriously who doesn’t want to look like a million bucks?! 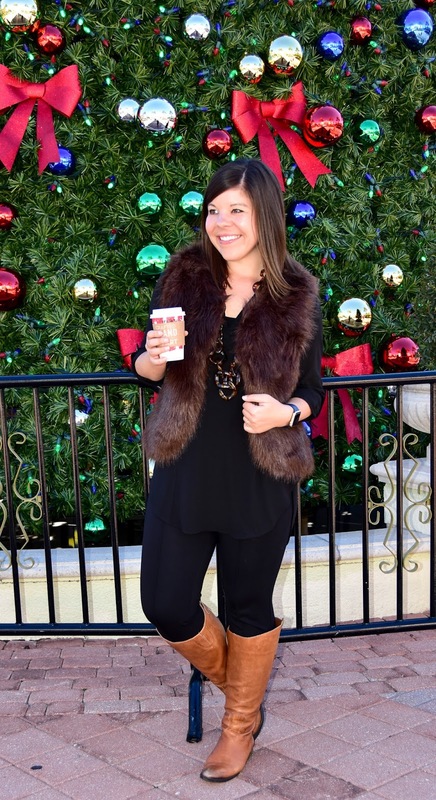 🙂 There is something about a fur vest that just makes me feel like it is the holiday season, and paired with the black on black tunic + pants it does lend itself to an interesting and yes, rich, pallet of colors! The only accessory you need? A Starbuck #redcup of course! ha. Great look Gentry! I love the brown and black combo. It's always one of my favorites. 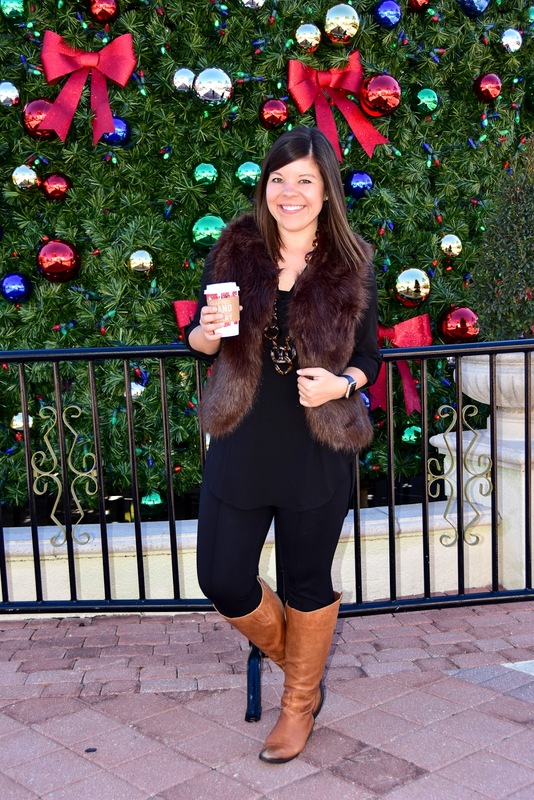 I LOVE this faux fur vest! Thank you SO much for cohosting! just love the fur vest so much! That fur vest is perfect! I have a similar tortoise necklace and love how versatile it is. You can wear it with so much! LOVE this outfit…there is just something about all black with touches of brown. It's one of my favorite looks ever! Thanks for hosting!!! 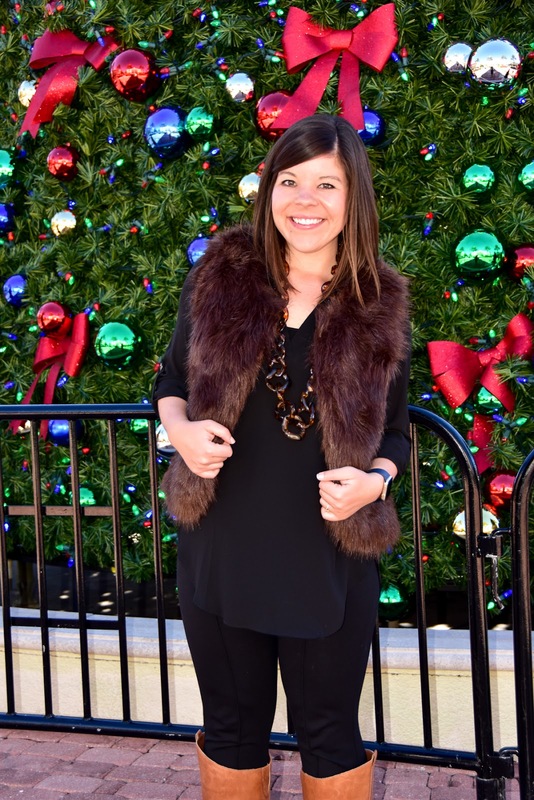 Shockingly enough, I do not own a fur vest, but I SO need this one in my closet! You look so fabulous! 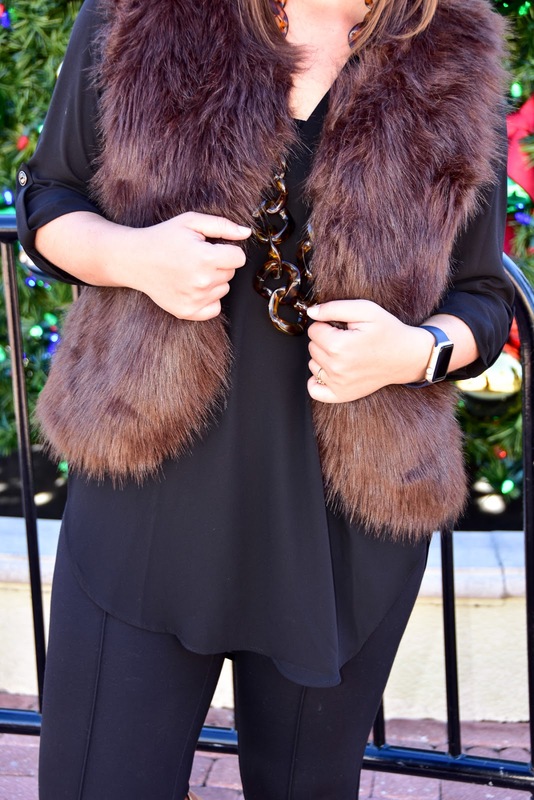 Love this color combo and that fur vest! Love this look and your location. I just can't get over it's already Christmas. So glad everyone is already to go and decorated. 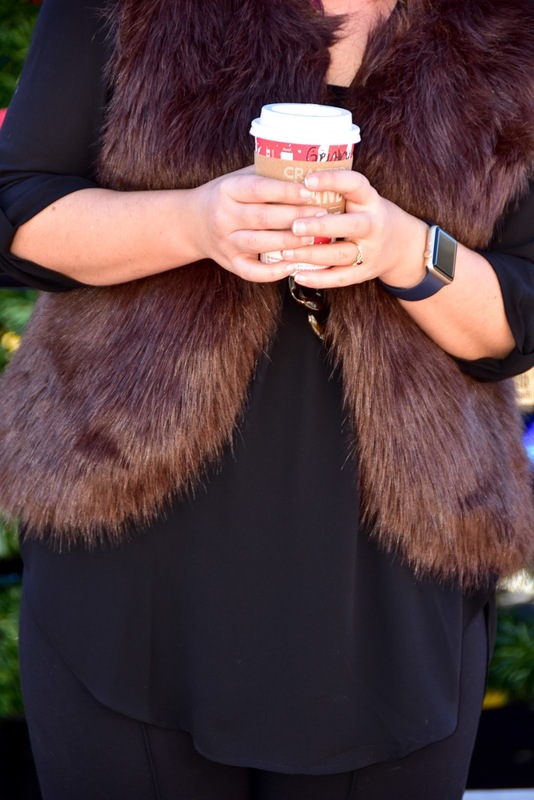 I love your fur vest, it is fall perfect! Obsessed! You look so good girl, I love that fur vest! 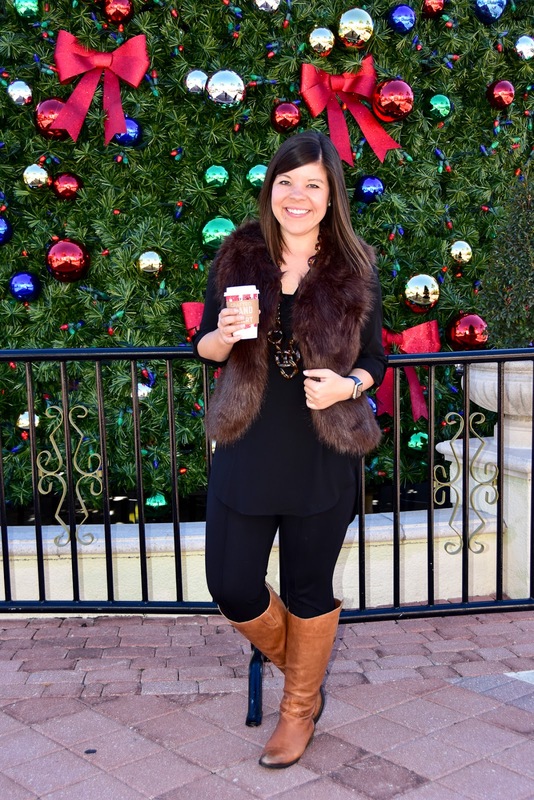 Loving that fur vest – it's so cute! Love the look!